In the online dating game, few websites can match the impact and wealth of features of Zoosk and Tinder. Both have proven to be very effective tools for finding love, and in the following head-to-head comparison, we put them face-to-face to see who comes out on top. Over 35 million members use Zoosk, making it one of the biggest dating sites. 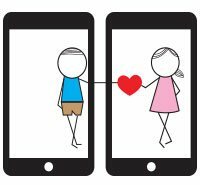 Zoosk is best known for its “behavioral matchmaking” feature, which tracks a user’s preferences in real time and uses the data to find matches that are just right for them. Matches appear in the “carousel,” which lets you swipe through a rolling assortment of potential matches. 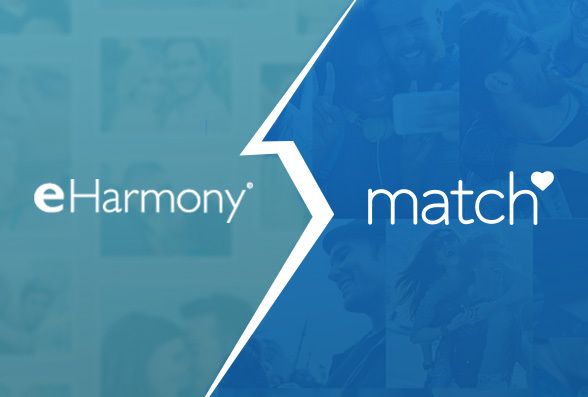 Members also receive highly compatible matches called “SmartPicks” and can help these picks become more accurate by answering additional questions regarding personal preferences. Tinder made the words “swipe left” and “swipe right” part of our daily lexicon, and changed the world of dating. The app has a simple and straight-forward interface – you sign in through your Facebook account and then you’re presented with possible matches within a close proximity that you set. If you like what you see – swipe right, if you pass, swipe left. If the person swiped right and you did too – it’s a match and the rest is history. Tinder has an enormous user base so rest assured there’s plenty of fish in the sea. Now with its new “Likes You” feature, you get to see the people who’ve swiped right on your pic, before you see their pic. Zoosk uses a “one click signup” through Facebook or Google Plus that gets you up and running quickly and links your information through social media. If you don’t have Facebook or Google Plus you can register with your email address. You then simply fill out your location and send in a photo, which is checked and verified by Zoosk. Then it’s time to add some details to your profile, such as your height and weight, education level, body type, smoking preference, and the like. You can also add a “story” if you want to go more in depth about yourself. For Tinder, you simply log in with your Facebook profile and decide for yourself which details you’d like to import to your profile. You will also need to enter your phone number and add any other details you’d like. There are no questionnaires to fill out. Using your Facebook account means you can see if you and your potential matches have any Facebook friends in common, and you can also see photos and other details they’ve uploaded to the site. Many people decide for privacy’s sake that they’d rather not sign up through Facebook. This is possible, and there are a number of websites and online tutorials where you can learn how to bypass this requirement. WINNER – Zoosk. Though there are ways around it, the requirement to sign in to Tinder through your Facebook account could be a turnoff to many users. 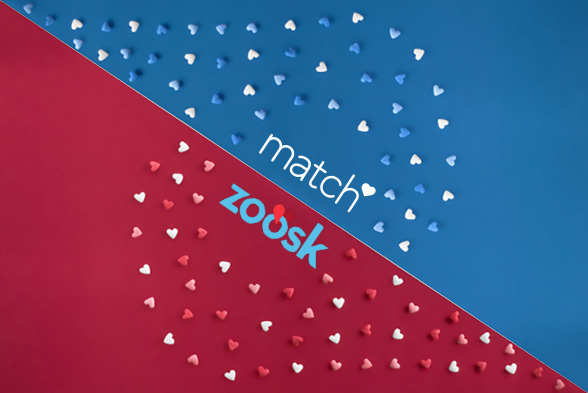 There is a free version of Zoosk, but if you want to be able to reach out to potential matches, you’ll need to sign up for a paid subscription. 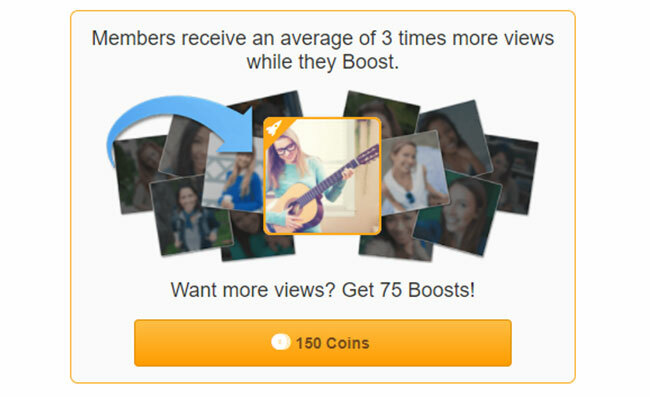 Another potential cost on Zoosk are the Zoosk “coins” you can purchase to unlock carousel matches, boost your profile visibility in search results, flirt and send “gifts” to other users. Most users on Tinder don’t pay; they use the basic swipe left, swipe right interface free of charge. The paid form of Tinder, called Tinder Plus, includes a number of extra features. Tinder Plus includes rewind; which lets you undo any swipe, passport; which lets you change your location easily, unlimited likes, and 5 extra super likes per day. 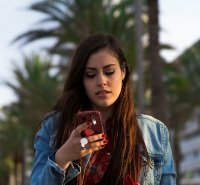 Over the summer, Tinder rolled out its “Tinder Gold” for iOS, which includes all of the features of Tinder Plus in addition to a number of extra features for only $5/month. Tinder Gold includes the “Like You” feature which tells you, which people have liked you before you see their profiles. Tinder Plus costs $9.99/month for users under 30 and $19.99/month for users over 30. There are also price variations based on users’ location. WINNER: Though it’s great that Tinder provides a free service that is so effective, its pricing structure is confusing and seems to discriminate based on age. We’ll score this round for Zoosk. 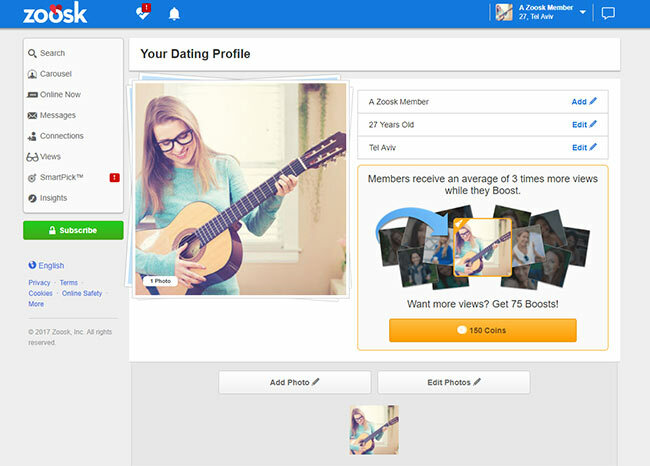 One of the keys to Zoosk’s success is the easy-to-use interface. The behavioral matchmaking does the heavy lifting for you, learning your preferences and searching for matches, while you just sit back and scroll through the carousel. You also aren’t burdened with the questionnaires that other sites require in order to find you matches. Zoosk doesn’t weigh the site down with too many bells and whistles. Making changes to your profile is painless and can be done at any time. Zoosk doesn’t bombard you with distracting homescreen features, news feed updates or notifications. The site keeps things simple and you can always go back and take a look at somebody who caught your eye. There’s no pressure to make a decision, so you can keep your swipe finger off the trigger. Ease of use is part of what has made Tinder a dating - and cultural - phenomenon in recent years. Sign up is done through your Facebook account and once you’re online it’s a simple matter of swiping left or right - or up for a super like. Once you get a match it’s easy to message each other and find a way to meet up in “real” life. You don’t have to really build a profile with Tinder - photos are pulled from your Facebook and you can enter a quick description of yourself, but it’s not a must. There’s no questionnaire, you simply select if you’re interested in men or women and then the radius you’re interested in finding matches in. Now you’re up and running, and swiping. WINNER: Ease of use has been built deep into the Tinder experience. 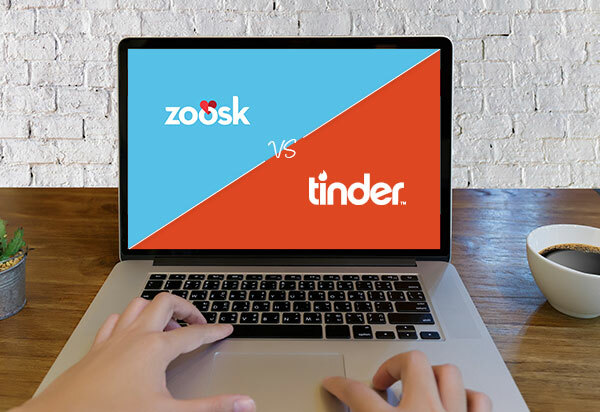 Zoosk is a simple to use dating app and stacks up well against industry rivals, but Tinder takes simple to a whole other level. Zoosk’s top feature is the technology it puts into play to give you a helping hand finding someone who’s right for you. The behavioral matchmaking learns from you as you use the site, building a better and better break-down of your interests and narrowing down the options accordingly. There’s a ton of fish in the sea and the behavioral matchmaking and carousel should help you navigate these seas. Zoosk coins are also a fun feature on the site that give you a wide variety of ways to reach out to possible matches, to flirt, chat, or just pass the time however you see fit. Tinder’s most important feature may just be its massive user base. Pretty much wherever you are you should be able to turn on the app and find some people nearby who might be interested in meeting up. WINNER: Zoosk. Tinder does have a good amount of features, but some of the extra stuff costs money and Tinder Gold is only available for iOS. With Zoosk, you get the full horsepower of a major dating site at your disposal. Zoosk takes safety seriously, and checks every profile that appears on the site in order to verify the photos and keep out fake accounts. The site also verifies users’ phone numbers. If you want, you can browse Zoosk privately so that your details aren’t shown. Because Tinder is often used for casual hook ups by people whose only familiarity with one another may be just a simple pic, the app has always been plagued by safety concerns – especially for women. Setup requires using your Facebook profile, a safety precaution that many people find a way to circumvent. If you look online, in an instant you can find countless websites with instructions on how to sign up for Tinder without using your Facebook. This is mainly for people who are (perhaps) in relationships and don’t want their significant others to find out, but it’s a security vulnerability that really anyone could exploit. 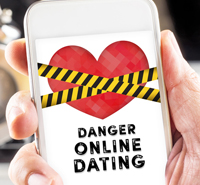 Like on virtually all dating sites (including Zoosk), scammers do use Tinder for phishing attacks and other scams. Usually all it takes is a pretty face and a seemingly innocent link sent to your direct messages. Just like anywhere, a little caution should be enough. If anything looks too good to be true it probably is, and if you’re going to meet up with someone you met online, make it a neutral, public place. WINNER: Zoosk. There are more layers of security on Zoosk and since there is more of a serious dating focus among users than on Tinder, it should be less risky. Success speaks for itself and there are plenty of good reasons that both Zoosk and Tinder have become major names in the online dating world in recent years. 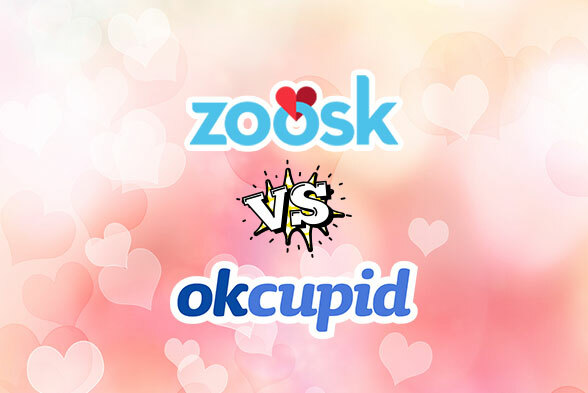 Ease of use, simple sign-up, and extensive features abound, and Zoosk was the clear winner in our head-to-head. It simply offers a more in-depth online dating experience, and is a better option for those looking to find something to write home about. Come see for yourself.